I am the youngest of a “working poor” family, whose parents taught me to laugh at adversity rather than cry. At 16 I was diagnosed with inflammatory bowel disease (specifically ulcerative colitis) which was fairly well controlled by diet – with the exception of annual compliance issues every August when corn on the cob was in season – oh, if I knew then what I know now… nope, I likely would have done the same thing! I was young and invincible, future issues were someone else’s dockets, not mine. I studied nursing, graduated and began my career in emergency services. Coinciding with my early career was endometriosis and polycystic ovarian disease, frequent surgeries for ruptured cysts, and heavy monthly bleeding. My hemoglobin never came above 90. The only iron supplements available were iron salts, but their primary side effect of constipation (not the best when one has ulcerative colitis) further imposed compliance issues. When I was 26 I lost my female organs due to complications of polycystic ovarian disease. While working on the Texas/Mexico border, I drank the water and developed dysentery (intestinal inflammation) and Amoebiasis (infection) which began cyclical exacerbations of my ulcerative colitis. This cycle of repeated exacerbations culminated in the perforation of my colon, and end loop ileostomy in late 2001, which was reversed to a pelvic pouch in 2002. After that, my health was stable until 2007 when, at age 43, I was diagnosed with insulin resistant type II diabetes. I had really packed on the pounds until finally getting a date for bariatric surgery in 2009. Because of my history, I was required to have a vertical sleeve gastrectomy (VSG), which eliminated 90% of my stomach. This meant that there was no intrinsic factor to help with the digestion and absorption of bound B12, and a proton pump inhibitor also impeded the absorption of iron. Fortunately for me, I was also learning about iron deficiency and anemia because of my new role in patient blood management. I got myself on a non-salt iron supplement (FeraMAX® 150) and sub-lingual B12 supplement and began educating other bariatric patients about our special nutritional needs. The fight wasn’t over just yet. The year 2012 saw another health crisis that required two surgeries to revise my VSG to a gastric pouch with several intestinal bypasses. As a result of this surgery, I developed micronutrient malnutrition related to malabsorption secondary to bariatric surgery. Before this diagnosis was made I had progressed into bone marrow failure, and a splenic abscess for which I needed several units of blood. I am now intravenous-nutrition dependant. On a side note, when I taped the Canadian Health and Family program with Dr. Marla Shapiro, my hemoglobin was 76 and ferritin level was less than 2. I couldn’t remember “difficulty concentrating” as one of the symptoms of the triad of iron deficiency. Now, my iron supplementation regime includes the use of FeraMAX® Powder (1.5 tsp. twice a day) and intravenous (IV) iron once every six weeks. Without the use of FeraMAX® I would need IV iron much more frequently. I am happy to report, that for the first time in decades, my hemoglobin is over 130 and my ferritin level is over 50! In conclusion, I want to say that I did not write this for sympathy, but to inspire others to rise above their respective challenges and to remind my readers that the light at the end of the tunnel is not necessarily a train. May you all have courage in your journey and stay strong! You never fail to leave me speechless. Your an incredibly intelligent and strong woman. I’m very fortunate to have you on my side. Keep up the great work. You have helped loads of people with your wealth of knowledge. I personally thank you and wish you all the best. I hope to see you in March at the Bariatric support group in Cambridge that David and Sharon Moody run. Take care and all the best. 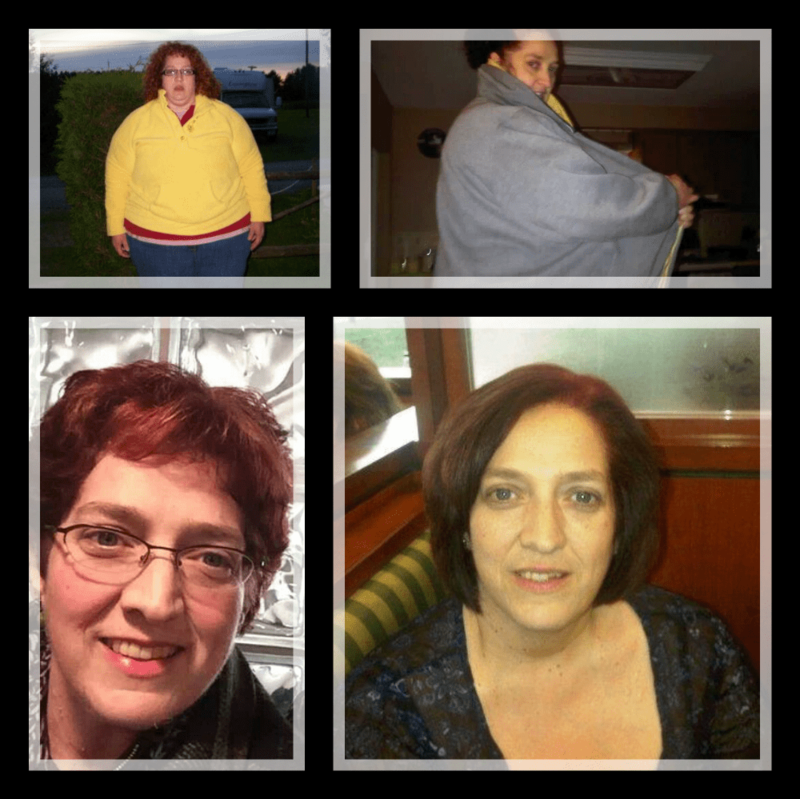 Leona, your story is truly amazing and you are a true friend to those in the bariatric community. It is easy to see why you never sugar coat the truth and that you for that too. Thank you for sharing your inspiring journey. You are a amazing warrior, a great advocate and you look terrific! How can I contact you? I had a RNY in 2001. I am now 61 and feel terrible and have such awful debilitating symptoms. I’ve had malabsorption vitamin and iron issues in the past (also lived in another city with a great pro-active doctor). Years ago, I had iron injections, took chewable iron etc. I have not kept up that protocol and I’m suffering. I can’t find a decent doctor where I’m living yet. I will print out your articles. I’d like to speak with you. Thank you. Thank you for your comment. I am sure you understand that I do not publicly list my contact information. Please check your email and junk mail file for a surprise. I am very sorry to read that you are struggling with debilitating symptoms that you suspect to be caused by iron deficiency. Iron deficiency is one of the most debilitating, under-diagnosed health issue facing Canadian women today. 20% of Canadian women and 50% of pregnant Canadian women suffer from iron deficiency. While it is easy to rule out and treat, a number of physicians do not even consider iron deficiency until their client’s hemoglobin drops significantly. This is why I strive to educate the general public, such that they can advocate for themselves. Congratulations on being prepared to take an active role in decisions that affect your health and well-being. I do speak frequently across Ontario to local Bariatric Support Groups. You may want to hook up with your local support group and see when I will be coming to speak. If I am not scheduled to speak, please feel free to encourage them to invite me to do so.